Get your Go-To Card for the 2018-19 school year! If you are eligible to receive a Metro Transit Go-To Card (see below for eligibility information), you are able to pick up your pass at your high school! What is the Go-to Card program? A Go-To Card is a durable, plastic pre-paid fare card that allows for unlimited rides on city buses and light rail to and from school instead of riding the traditional yellow school bus. The cards can be used after school hours for other student activities. Students may also use their Go-To Cards for extracurricular activities before and after school hours. The Go-To Card program is an expansion of the successful Go-To Card pilot program. It offers students scheduling flexibility and access to a wide variety of learning opportunities in the community. Students will have more opportunities to remain at school for academic programs, sports and other activities beyond the regular school day. Personal language-specific service will be provided by Check & Connect staff. The program supports improved student attendance and retention. The Go-To Cards will allow student users to ride the bus or train from 5:00 a.m. until 10:00 p.m. seven days a week. Students who qualify for free and reduced lunch and are within the 2-mile walk zone of their school. Students who attend a high school outside of their attendance zone and are not transportation eligible will not be eligible for a Go-To Card. All transportation eligible students will receive a free Go To Card. These are students who are within the attendance zone of their school, but outside the walk-zone. Also, students who are enrolled in a city-wide program and outside the walk-zone of their school. If my student is not eligible to receive a free Go To Card, Can I purchase one for my student? All students who do not qualify for a free card can purchase one at a discounted rate by stopping by the Go To Card admin office at their school. You can check with the main office for that location. Payments can be made in full for the entire year ($330) or before the start of each quarter ($82.50). Only cash payments are accepted. Cards are active through the end of the school year, unless payment is not received at the beginning of the quarter. *Cards may not be available for purchase immediately at the beginning of the year, as we are legally obligated to get transportation-eligible students their cards first. When will my eligible high school student receive the Student Go To Pass? Eligible students will be notified in August of their school distribution time. Students will need to go to their high school the week prior to school starting to pick-up their Student Go To Pass and student I.D. At this time, students and parents will be asked to review and sign the transportation code of conduct. If I have specific questions concerning my student’s Go To Pass or transportation route, who can I contact? Metro Transit is adding and adjusting routes and times to better serve Minneapolis Public School students. Routes can be planned at http://www.metrotransit.org/. Check and Connect staff will be available to assist with route planning when students pick-up their Go To Card Pass the week prior to school starting. Students and families can also talk with Check and Connect staff at their specific high school or a bilingual staff member. Download the flier to let others know about the program. Complete the School Lunch Eligibility form that will arrive by mail in July. This is critical in identifying students who qualify for free and reduced lunch and a Go-To Card. Attend future Go-To Card events that will review transportation safety, routes and questions. 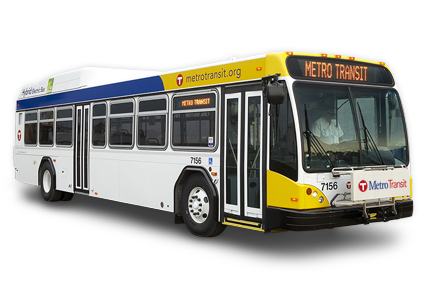 Learn more on the Metro Transit website. Metro Transit is committed to keeping buses and trains safe and their employees are trained to deal with security issues. Follow the link to read more about safety on Metro transit.